Belknap Press/ Harvard University Press, 876 pp. This article was first published in the November 10, 2011 issue of The New York Review of Books. When a scientific experiment uncovers a new phenomenon, a scientist is pleased. When an experiment fails to reveal something that the scientist originally expected, that, too, counts as a result worth analyzing. A sense of the “nonappearance of the expected” was my first impression of Ezra Vogel’s Deng Xiaoping and the Transformation of China. The term “human rights” does not appear in its index, and it turns out that this omission was not an oversight of the indexer. Systematic nonconsideration of human rights is one of the book’s features. © Matthew and Eve Levine. People in front of tanks were crushed. The unity of China was more important than those people on Tiananmen Square…. When Tiananmen Square happened, tanks were sent in to deal with them. It’s not a joke. I will do whatever it takes to make sure part of the country isn’t taken away. Deng’s example of the utility of massacre had not been lost on Qaddafi. What we do know is that in the two decades after Tiananmen, China enjoyed relative stability and rapid—even spectacular—economic growth…. Today hundreds of millions of Chinese are living far more comfortable lives than they were living in 1989, and they enjoy far greater access to information and ideas around the world than at any time in Chinese history. Both educational level and longevity have continued to rise rapidly. For these reasons and others, Chinese people take far greater pride in their nation’s achievements than they did in the previous century. With these words Vogel indicates that he basically accepts an argument that the Communist Party’s Propaganda Department has been making for the past twenty years: that “stability” and economic growth show that the repression at Tiananmen was justified in the long run. When foreign dignitaries or journalists have asked about the massacre, the response of Party leaders has been consistent: if Deng Xiaoping had not taken “resolute” (i.e., murderous) measures, China could not have had the stable society or flourishing economy that it enjoyed in the ensuing years. Other aspects of government rhetoric, however, suggest that even the sources of such statements do not quite believe them. If it were really true that Deng’s “resolute action” led to economic growth, and that this causal connection is plain for Chinese people to see, one would expect Party propaganda to be highlighting “the suppression at Tiananmen.” But they do the opposite. Over the years, the official description of the massacre events has steadily shrunk from “counterrevolutionary riot” to “turmoil” to “incident” to “flap.” The leaders are well aware that what happened is an extremely ugly mark on their historical record, and they have been eager to have the world forget it as soon as possible. What about the claim that China has enjoyed “stability”? Did the crackdown really bring stability? Is it true, as Vogel says, that now “Chinese people take far greater pride in their nation’s achievements” than before? If so, why does the government now need to spend huge sums—reportedly as much as the entire military budget—on “stability maintenance” aimed at deterring and quelling protests, demonstrations, and other “mass incidents”? But just for the sake of argument, let us postulate that the Tiananmen crackdown was indeed a primary cause of later stability and economic growth. We would still need to ask this question: Do stability and economic growth justify lethal force of the kind used at Tiananmen? An elemental principle of human rights is at stake here: you cannot use violent force to take the lives of one group of people (even if it is a minority) in order to serve the material interests of another group (even a majority). Our passion for freedom led to the American Revolution, the first great uprising for human rights and independence against colonial rule. We knew each of us could not enjoy liberty for ourselves unless we were willing to share it with everyone else. And we knew our freedom could not truly be safe unless all of us were protected by a body of laws that treated us equally. Only parts of Reagan’s speech were translated in the Chinese media, but still, for many Chinese, they were a first taste of modern notions of human rights. Vogel’s book admits only two possibilities: either the author does not share these ideas of human rights, or he is using a double standard for China and the US. Vogel sees Deng’s “mission” as one of making China “rich and strong,” but has little to say about the internal structure of the rich and strong country that Deng may have had in mind. Was it something that resembles the US? England? Japan? Singapore? Was it a whole new Chinese model? Vogel writes that “In 1978, Deng did not have a clear blueprint about how to bring wealth to the people and power to the country.” This sentence should be taken in halves. The first part is quite right. As late as the mid-1980s, it was hard to see that Deng was working from any blueprint. But the crucial question lurking here is exactly the one to which the second half of Vogel’s sentence assumes an answer: that Deng’s ultimate concerns were wealth for “the people” and power for “the country.” Many Chinese at the time—like Vogel now—naturally wanted to believe this, or at least to assume it. But the facts have turned out to be something else. On “opening,” Vogel tells us that Chinese “enjoy far greater access to information and ideas around the world than at any time in Chinese history.” Any time? I wonder. I think of China’s Tang era (618–907 CE), when Buddhism came to China from India and spread until it became China’s dominant religion. And what do we have today? In the US State Department’s most recent “Report on International Religious Freedom,” China is listed among the eight countries in the world with the worst records for religious freedom. Vogel notes, correctly, that one of the stylish catchwords within the “opening” policy has been jiegui, literally “connecting tracks” with the outside world. But this track-connecting has been overwhelmingly in commerce and exports. Very few tracks have been connected with newspapers and television from the West, Taiwan, or Hong Kong. Such tracks are still blocked in ways that are not much different, in truth, from the ways they were blocked during the Mao era. The Internet is the one area in which important new sources of information have appeared, but these have come despite, not because of, government policy. The earliest government efforts to constrict China’s Internet were put in place while Deng Xiaoping was still in charge. The regime’s curbs on the Internet today range from filtering out large numbers of “sensitive” terms to simply unplugging the Web in an entire region for weeks on end. When Beijing hosted the twenty-ninth Olympic Games in the summer of 2008, the authorities, with their international face at stake, loosened Internet controls temporarily, but as soon as the games were over they returned controls to normal. It could not be more clear that Deng’s notion of jiegui never included freedom of information of the kind that most of the international community regards as a human right. The military. Vogel has a chapter called “The Military: Preparing for Modernization,” but “modernization” here refers only to matters of arms and efficiency, not to such matters as civilian control of what the military does. It is not widely appreciated outside China that the People’s Liberation Army (PLA) is not a national army; it is a Party army. The taxes that support it are paid by all of the Chinese people, but the PLA takes orders only from the Central Military Commission (CMC), which is a Party organ. When push comes to shove, as it did at Tiananmen in 1989, the PLA defends Party interests, not national interests. Deng Xiaoping was never president of China, but was chair of the CMC throughout the crucial decade of the 1980s (1981–1989). He well knew that the top military post was the most powerful in China. Education. One of the earliest reforms in the Deng Xiaoping era was the reopening of China’s universities, which had been closed during Mao’s Cultural Revolution; the World Bank’s first loan to Deng’s China, as Vogel explains, was to support various aspects of higher education. For these reasons some people came to see Deng as “pro-education” generally, but this was a misconception. Deng saw education as a tool bag for his kind of modernization, not a broad social good. He knew that he needed economic and technical expertise to go together with China’s supply of cheap labor. But basic education for children was quite another story. Beginning in the 1980s, tens of millions of migrant workers from the countryside crowded Chinese cities to sell their labor in construction, sanitation, and other menial tasks. They were the bedrock that made Deng’s “economic miracle” possible. But under the government’s “household registry” system, they technically remained rural residents and were denied the rights of urban residents. Their children—even children born in the cities—also lacked urban registry and thus were not allowed to go to school. Expansion of personal freedoms. The Deng years were vastly different from the late Mao era in many ways. People who had been terribly persecuted under Mao got relief after he died, and personal space in daily life expanded considerably. In science, where I worked, ideological rigidities relaxed and scientists no longer had to teach from Karl Marx’s Notes on Mathematics, a little book published in the USSR and out of date even by nineteenth-century standards. Blue-for-everyone clothing began to disappear and some variety of colors and styles in dress began to appear. Romain Rolland’s Jean-Christophe and Mikhail Sholokhov’s And Quiet Flows the Don were no longer banned books. It was even occasionally possible (such as at the Democracy Wall in 1979) to criticize the government in public. But why did Deng steer away from Mao’s form of dictatorship? From human sympathy for the suffering Chinese people? Or in a practical effort to keep his Party on top of a society that was waking up and demanding ever more change? I had an interesting vantage point from which to judge this question, because many of the new freedoms first appeared on university campuses like the one where I was working. Every advance that I could see was something that students and teachers fought for, not something that authorities decided to grant from above. 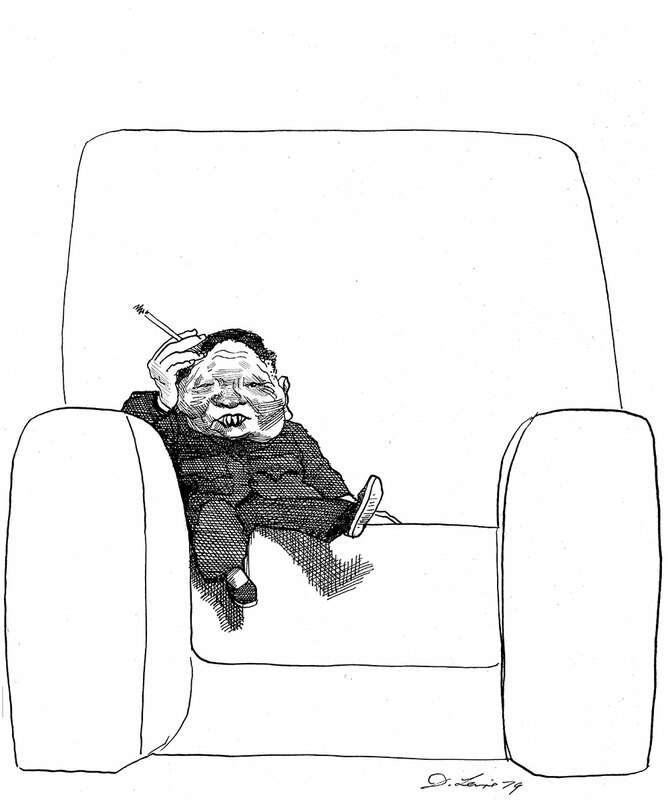 Deng Xiaoping’s role, when he played one, was to curb the spread of freedoms. His crackdown on the Democracy Wall in 1979 clarified his political bottom line: You may not, even slightly, infringe on my authority. His 1983 campaign to “eliminate spiritual pollution” reached even to strictures on the ways female students dressed. The economy. This is the area where Deng’s policies have had their most conspicuous achievements, and Vogel has much to say about it. China’s GDP has reached number two in the world, China holds $1.17 trillion in US debt, and so on. In the shadow of the recent financial crises in the West, many Western observers have overstated China’s achievements. On a per capita basis, China’s GDP is still only a quarter of Taiwan’s, a fifth of South Korea’s, and a tenth of Japan’s. Moreover the engine of China’s growth remains, for the most part, low-end products produced by cheap labor, where China has a competitive advantage. In history China has had this kind of “superiority” before. In 1820, under the Qing dynasty, the GDP of China’s largely agricultural economy was six times that of industrialized England. But England had gunboats, and when the Opium Wars came, it had its way with China. The Chinese government likes to claim that it has lifted millions from poverty as part of the greatest program to improve the condition of the poor the world has ever seen. Westerners sometimes echo such claims. Vogel tells us that “today hundreds of millions of Chinese are living far more comfortable lives than they were living in 1989” thanks to “the most basic changes since the Chinese empire took shape during the Han dynasty over two millennia ago.” In such claims, terms like “poverty” and “famine” are never defined with enough rigor to allow much quantitative measurement through history, and people unfamiliar with Chinese history can be led to suppose that China for two thousand years resembled something like Somalia today. But this is hardly the case. Chinese history does contain many records of poverty and famine, but, insofar as these events can be quantified, it is hard to say that their extent, on average, exceeds what occurred in other parts of the world. The suggestion that two thousand years of Chinese history were mired in chronic poverty is inconsistent with what we know about the rise and fall in the size of the population. Wars and invasions often caused the population to decline, but in times of peace the consistent pattern was that population grew rapidly. The huge Mao-made famine of 1959–1962 (which killed thirty or forty million people) showed us that, in times of famine, pregnancy rates fall drastically and population growth slows, even to zero. Peacetime population growth, the standard pattern in China’s long history, is a clear sign of absence of poverty. To say that Deng is responsible for the largest program to eliminate poverty and famine in world history is political hype. Deng never specified which “part” he had in mind. He left this for Chinese people themselves to figure out. For me personally, the realization arrived most clearly with a surprising series of events that happened to me in the late 1980s. Even before I left Australia, friends in Beijing started calling me with the startling news that Deng Xiaoping had let it be known through Party channels that Fang Lizhi had libeled him in a statement about “foreign bank accounts.” Deng was preparing to sue me, they said. My first reaction was skepticism. Nearly every Chinese scholar and student studying overseas had a bank account that contained money. What fact could be more pedestrian? How could the words “keep foreign bank accounts” possibly constitute libel? What’s more, if Deng really wanted to get me, he certainly did not need the law. Everyone knows that, in China, Party authority trumps legal authority, and Deng was at the pinnacle of Party power, so why would he need the law? There were all kinds of easier ways for him to bring me down, if that was his aim. When I returned to Beijing in September, friends with connections in the government insisted that Deng was moving ahead with the lawsuit. They told me that internal Party circulars were saying that Fang Lizhi’s libel would be “resolved through legal means.” But I continued to have trouble believing this until an article appeared in Reference News, a national bulletin with a circulation even larger than that of the People’s Daily. The article named me and went into detail about why my words fell into the category of libel. With that, things got pretty tense. Rumors began to fly that the Beijing Intermediate Court was about to issue me a summons. Lawyer friends began volunteering to put together legal defense teams for me. Readers of Reference News sent me letters of advice on how to argue in court. Some of them volunteered to begin collecting information on foreign bank accounts of high-ranking officials and their children so that truth could be my defense. Foreign journalists heard about the story and got very excited: Deng Xiaoping and Fang Lizhi squaring off in court? There was a headline! But a summons from a court never arrived. In early November, a senior official in the Central Department of Propaganda came to visit me at home, on instructions, to inform me that there would be no lawsuit. The reason, he said, was that a lawyer with the Chinese delegation to the United Nations had explained to Deng Xiaoping that because Fang Lizhi had named no person, a libel case could not go forward. As I reflected on what had happened, I came to understand that Deng had probably not failed. He had probably achieved just what he set out to do. His unnamed “part” of the population that would get rich first was, in fact, those very “central leaders and their offspring” that the student poster in Beijing had mentioned, and he was hypersensitive to any public expression of the idea. The Chinese people should not entertain such a thought, and if they do, they must understand the necessity of shutting up about it. How could Deng make this clear? A lawsuit against me, in itself, was superfluous, but news of a lawsuit against me, spread nationwide, could have a powerful intimidating effect. Deng was a clever man, and there are many examples of this sort of calculation in his long and storied career. Vogel has written 745 pages about him, but seems unaware of this aspect of his mind. Western observers have found it incongruous that Deng was so active in pushing economic reform but so stubborn in preventing political reform—as if these were in some way contradictory policies. But there was no contradiction: one policy was aimed to bring wealth to the Party-connected elite and the other was aimed to preserve its power. To use the Party’s army to suppress student protesters who threatened Party wealth and power was entirely consistent with his basic principles. A virtue of Vogel’s book is that it collects and organizes a huge amount of material on the struggles within the elite power circles in China over several decades. In these accounts we learn how Deng tried to protect his allies and how he sought to undermine his enemies; he fell, rose, fell again, then rose again to the pinnacle position in the second generation of the Communist dynasty. Vogel’s materials will be very useful to students of elite power struggles in China. Yet all these stories only make it clear, over and over, how the top leaders in the Communist system are selected through processes of competition among elite interest groups and have little to do with Chinese people who are outside those circles. It should not surprise us, therefore, that the leaders who rise to the top are focused intensely on the political and economic interests of the power elite. We cannot expect that leaders selected in this way will feel concern for ordinary people, or for what is best for China as a whole.